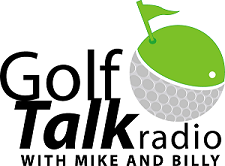 It was fun to be back for my 3rd guest appearance on Golf Talk Radio on ESPN. This time we talked about my Sterling Irons® single length irons. Listen to the show by clicking on the play button below. Was a return guest on ESPN Golf Talk Radio. "CJ Silas joins Mike & Billy in studio from The CJ Silas Show for a 2012 reveiw and the announcement of her move to Wednesdays on ESPN 1280. Jaacob Bowden from Swing Man Golf calls into the show to discuss how to increase your swing speed and the RE/MAX Long Drive Finals airing on ESPN Sunday, December 30th, 2012." You can listen to the show below. Was a guest on ESPN Golf Talk Radio!!! In 2003, Jaacob Bowden was living in Kansas City working as a computer engineer in the corporate world. Uninspired in his daily work and realizing that playing golf gave him tremendous satisfaction, Jaacob traded in his corporate career to pursue the dream of becoming a Professional Golfer. This journey has since taken Jaacob from being an average golfer who typically drove the ball 220-275 to scratch golfer and long-drive champion. While Jaacob's long-term goal is to play on the PGA Tour, he has made considerable strides in a relatively short amount of time. In 2003, after working with distinguished golf instructors Dan Shauger and Mike Austin, Jaacob won the Pinnacle Distance Challenge with a televised drive of 381-yards and he has also since hit a grid-record 421-yard drive at a RE/MAX World Long Drive Local Qualifier in Temecula, California. His athletic ability coupled with his insatiable appetite to learn every aspect of the game has made him not only a respected player but an incredible teacher as well. As a result, he brings perspective and experience that uniquely relates to both the average and professional golfer. Through his own training Jaacob has explored and tested a variety of techniques and training aids - the most recent of which involves researching swing speed training. His personal efforts to increase his own swing speed - and thus hit bigger drives - has made Jaacob one of the foremost experts on speed training in the world. Jaacob continues to train and prepare for golf tournaments and long drive events while furthering his knowledge of golf and swing speed.